Lures – Trebles, Singles or Assist? Home → How to catch bass → Lures – Trebles, Singles or Assist? Quite a few years ago I landed my first hard-lure caught bass. It was a rocky shore and to facilitate landing and release I invariably used a net, an extending handle version. The lure, an Aile Magnet popper, had just two trebles but the total of six hooks made unhooking the bass (and the net) a real fiddle. "The bass weighed 9lb 12oz'. The gulley is right behind me. I resolved to replace the trebles with single hooks. That proved more difficult than I first thought. The singles would have to have a relatively large eye to take the split rings and also be short in the shank. 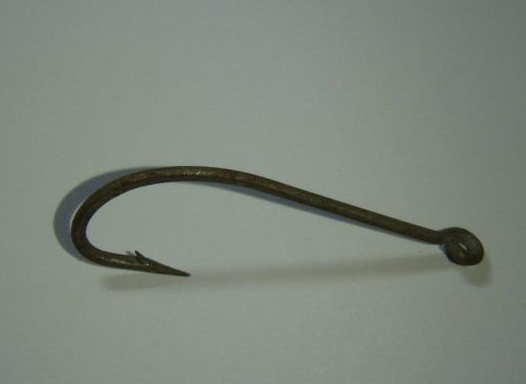 I had a rummage through my cupboards and drawers of old fishing tackle and came up with an old box of Mustad tinned hooks – described as whiting hooks. Not very elegant or modern but worth a try, I thought. Although the shank was a bit too long, the action of the Aile Magnet did not seem to be impaired in any way. The Mustads had a long point and very coarse barbs, so I squashed them flat. Now my Magnet had just two hooks and no barbs – would it work? Would bass ‘drop’ off before I got them to the net? Would the tight wiggle action be affected? A while later I was fishing from one of my favourite West Cork rock marks. The Aile Magnet popped and zig-zagged across the surface. It was low water, slightly coloured and about 6 feet deep just off the rocks. As I admired the action of the lure coming up a gulley towards me, a dark shape materialised in pursuit. A spilt second later a huge swirl, a surging wave and I was attached to a good bass. She promptly ran out of the gulley then to and fro in front of me. I could see that the lure was only attached by one hook – this was going to test the theory. Everything held and safely netted, the hook slipped out of the bass and didn’t snag the net either. The bass weighed 9lb 12oz. Satisfied that barbless hooks appeared to work on bass, I changed a few more plugs to single hooks with squashed barbs. Like a lot of Society members I had landed big carp and other coarse fish on tiny barbless hooks and routinely used them in fresh water for barbel and chub so I knew it should work. Fast forward several years and now I have removed lots of trebles from hard lures and replaced them with singles. I did wonder if the action would be affected but the bass do not seemed to have noticed if it has. 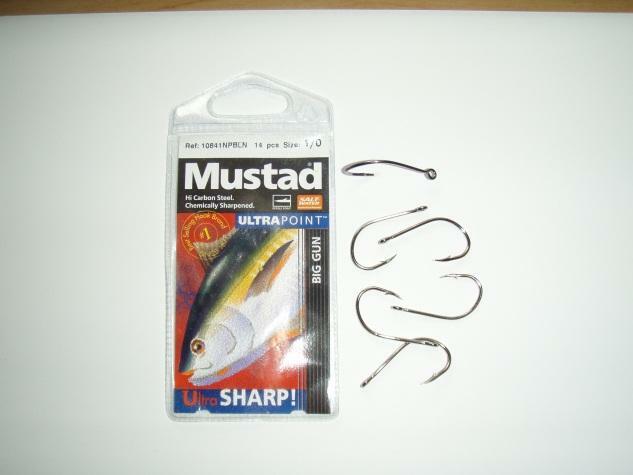 During one of my regular ebay visits I came across some Mustad Big Gun hooks. Not a circle hook but a slightly turned-in point with a short shank and round eye. They have been ideal. 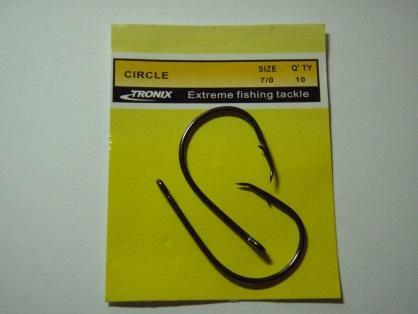 Tronix have a circle hook that is very short shanked. but I am not sure that there is any advantage in using them on lures. The original purpose of circle hooks was all about their self hooking properties when used on commercial longlines. Yo-Zuri have recently released “the first and only circle hook factory produced series of lures” The lures are fitted with Sashimi circle hooks. Anglers have found that they help to prevent deep hooking. As you would expect, the singles are quite a bit lighter than trebles. This is more noticable where three trebles were fitted to lures originally. Even before experimenting with singles, I invariably removed the centre treble completely. Some lures are inherently very light and do not cast well at all, particularly into the wind. As a comparison look how the Aile Magnet Popper casts, even into a stiff head wind. I wondered, again, if adding weight to the lighter un-modified lures would be advantageous. When using lighter single hooks it seemed obvious that adding weight would help the castability if not the action. Storm Lures made stick-on zinc weights that were available as dots or strips. I have only seen the strips for sale on this side of the Atlantic at AGM Products . 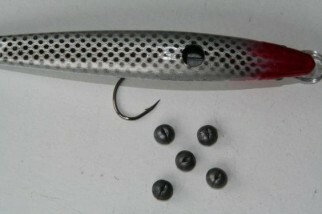 13cm Tronix Red Head Shallow Diver. 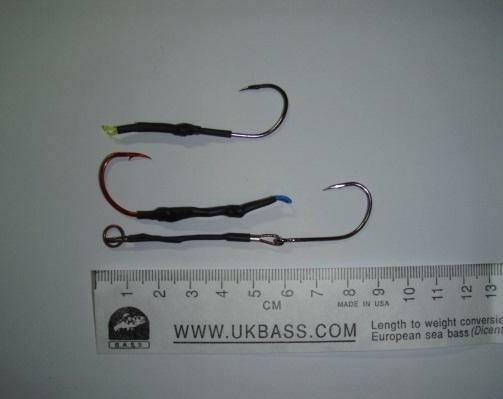 Original with trebles (top) and same lure fitted with 1/0 Mustad Big Gun Ultrapoints (below). 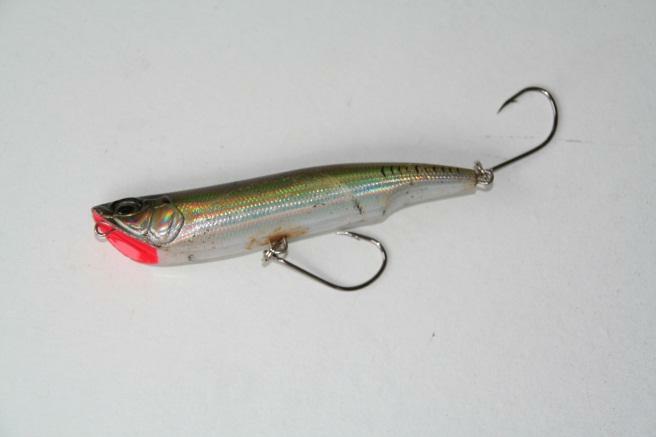 Taking a drill to quite expensive plastic lures may not be everybody’s idea of an experiment but I did find some excellent hard lures at my local tackle shop. Dave & Simon Kingdom sell Tronix lures at very reasonable prices. I know they work well and have a great action. 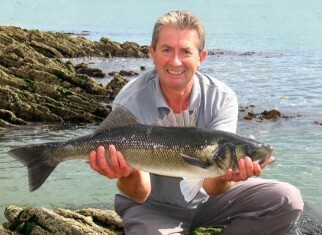 I tried several different patterns when I was out with Jon Williams in the ‘Kernow Flier’ at Falmouth last year. The clear water meant I could see the wobbling action as the lure came back to the boat. 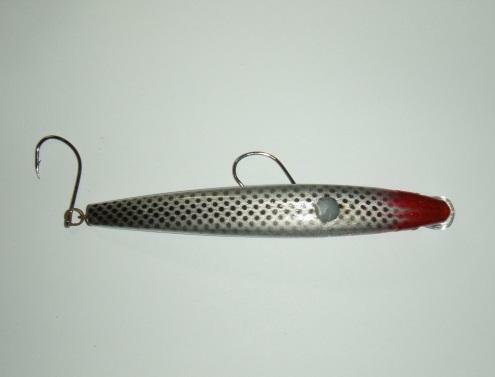 My coarse fishing tackle box had the answer – lead-free split shot. So, what size? The shot shown in the picture are SSG (was also known as swan shot) which weigh 1.60 gm each. I drilled a small hole in the back of the lure just big enough to drop the shot through. How many to use? I weighed a lure ‘out-of-the-box’ at 22gm. Then again with singles – 16gm, so a lot lighter but still quite castable. Four SSG shot brought the weight back to 22gm. The hole was sealed with epoxy resin. I Taped over the epoxy and turned the lure on its back, leaving it to set. Araldite ‘Rapid’ goes off in about 5 minutes. The lure still floated with 5 SSG’s and weighed about 24gm. SSG shot just fit through the hole drilled in the back of the Tronix lure . . . .
. . . and the hole is sealed with rapid epoxy. The SSG’s are free to run up and down inside the lure body, but at the cast, inertia ensures they are at the back of the lure in the same manner as the Aile Magnet. Although the lure now sits in the water ‘tail’ down, as soon the retrieve starts it levels up and the extra weight gives it a great wobbling action. The bass, of course, just don’t notice any difference! Another option that I have not tried is to use a single ‘assist hook’ attached to one of the eyes. This is quite popular in America and has developed from pirking and jigging. If I have a concern it is that the extra length of the assist ‘trace’ will allow deeper hooking, although an assist trace fitted with circle hooks may work as intended and not lodge at the back of the fish’s throat. With the large eye in line with the hook shank, the Decoy Pluggin’ hook requires a split ring to attach them to the plug. They can be sourced from Mr Fish in Jersey. When changing trebles to singles, Siwash hooks make the task easy. 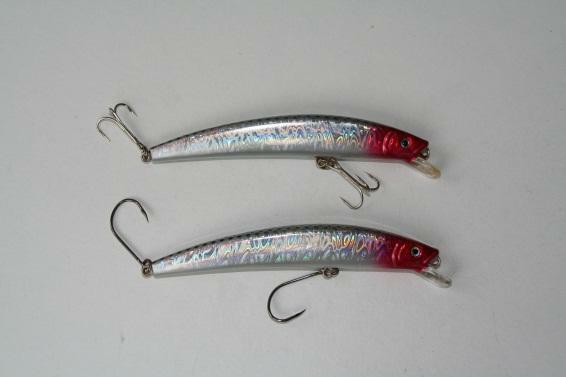 I have not seen these for sale in the UK but you will find them on many angling websites in the USA. 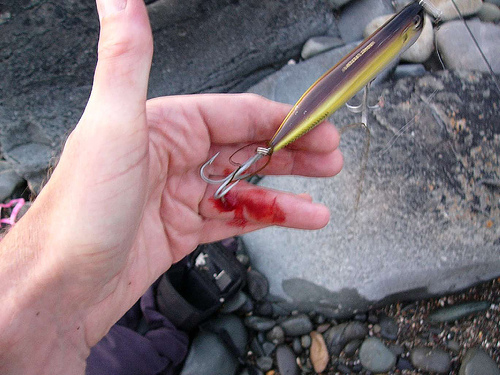 Yet another way to ’single-up’ lures – I saw it mentioned in an IGFA publication – is to snip off two hooks from each treble. It looks crude – it is crude – but the weight difference is less noticeable. Probably not a method I would use, though. 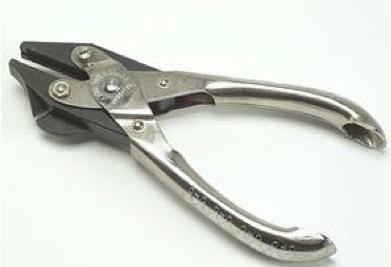 And finally, all anglers should carry those powerful Maun side cutting pliers in case of disaster – we all do don’t we? Maun side-cutting pliers . . .
Ouch . . . !